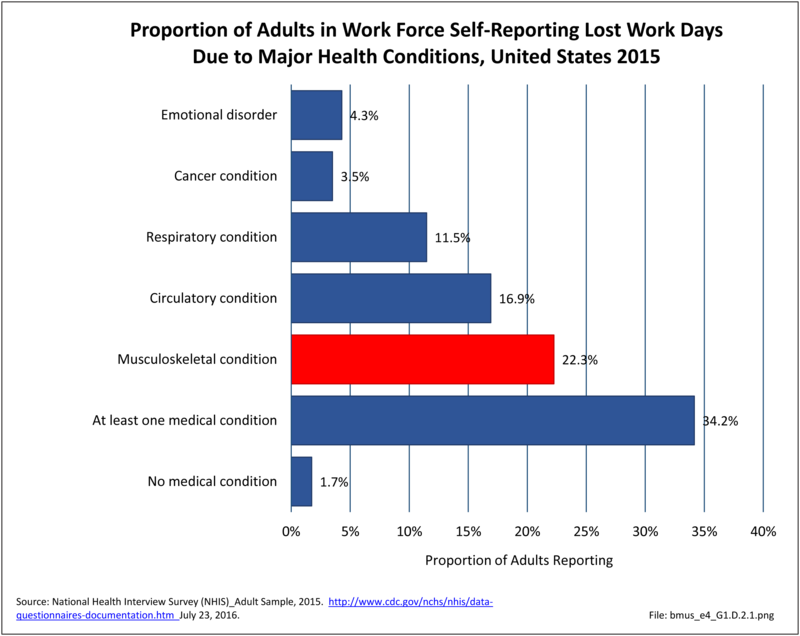 More than 35 million adults in the workforce with a musculoskeletal condition reported lost work days in the previous 12 months, totaling nearly 364 million days. 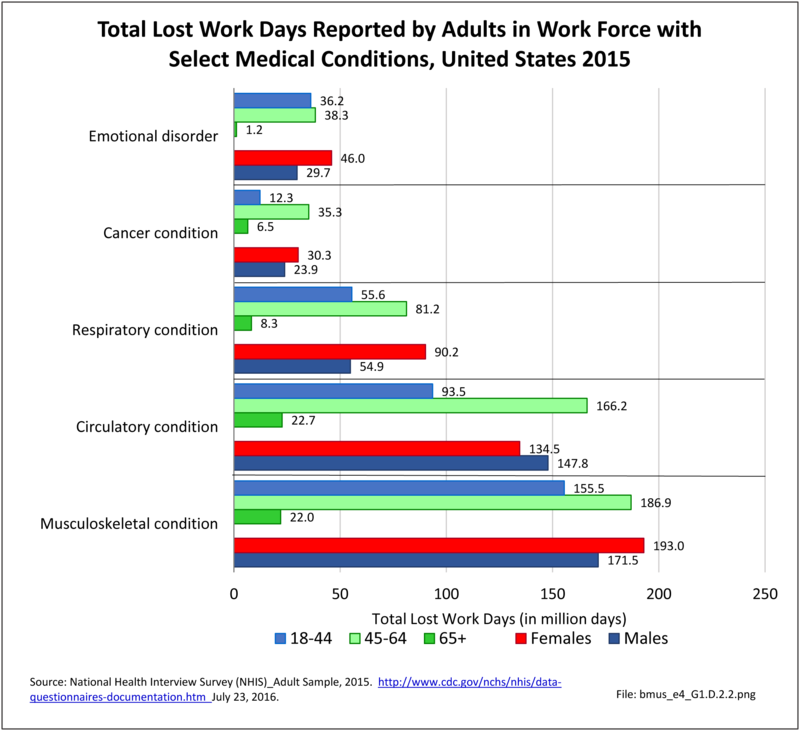 Lost work days for persons with a musculoskeletal conditions accounted for more lost work days than any other major health condition, with workers losing an average of 10 days of work. Chronic circulatory conditions, including high blood pressure and heart conditions, accounted for 283 million lost work days, and were reported by an increasing share of the working age population. As with bed days, females and males reported similar numbers of lost work days, but again, the number of females was higher. The youngest members of the work force, those age 18 to 44, accounted for the largest number of workers with lost work days due to a musculoskeletal condition, but they also represent the largest share of the work force population. They reported a mean of three fewer days lost than the older 45 to 64 worker population. The oldest workers, those age 65 and over, reported a mean of nearly 14 days lost, but comprised a very small share of the work force.